Many CTR resources and facilities available at UNMC are not currently available at other participating institutions, and vice versa. 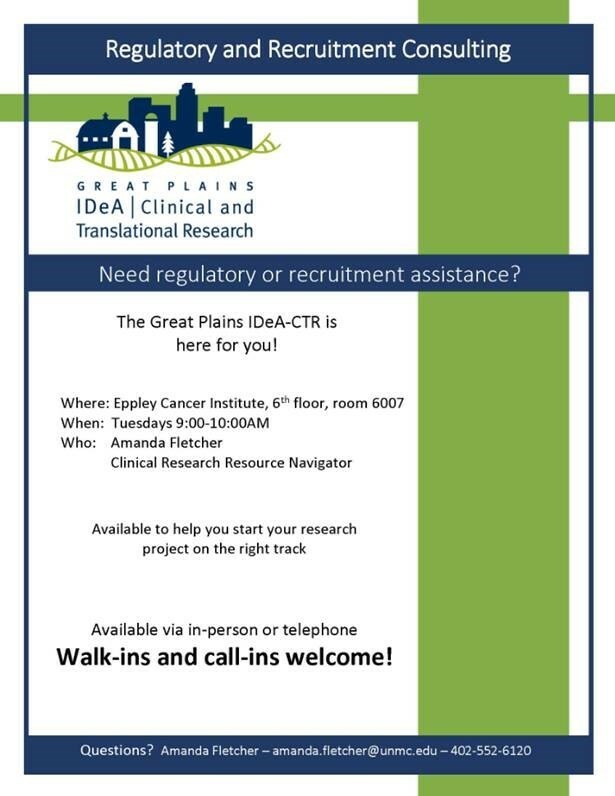 Resources and facilities will be made mutually available through the Great Plains IDeA-CTR, which will help participating institutions and investigators to access critical resources that they lack at present. Contact Amanda for assistance in finding resources or potential collaborators for your research project, or for regulatory or recruitment assistance. Deb can assist in minimizing risk for your prospective research subjects.